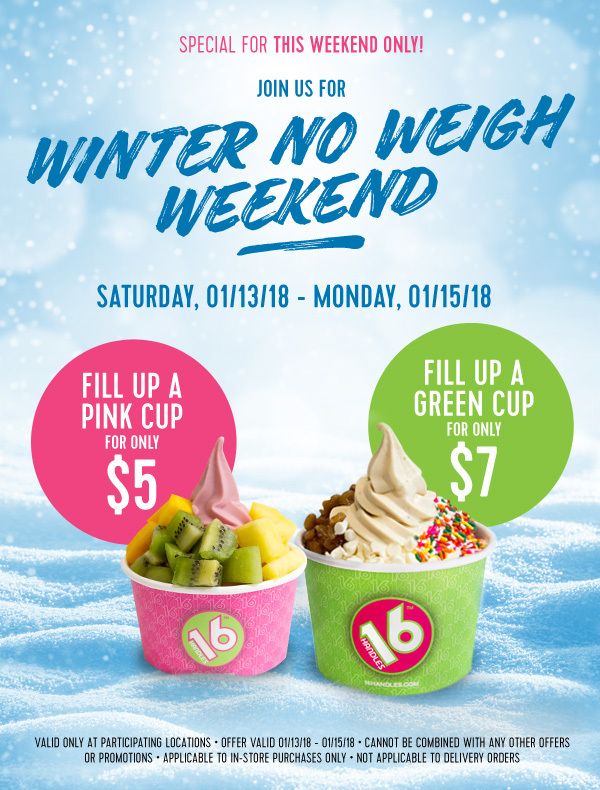 Visit 16 Handles this Saturday through Monday and fill up a pink cup for only $5 and a green cup for only $7 when you show your 16 Handles app at the register! This offer is only for registered 16 Handles rewards members who have the 16 Handles app or the new 16 Handles loyalty card. New guests may download the app to redeem the discount. This entry was posted in Kids and tagged 16 Handles. Bookmark the permalink.